Interport specializes in shipping container paint modifications. We can paint a container any color you choose. Shipping container painting allows customization of your container and gives an added layer of protection against the elements. Use paint modifications to personalize your office container, to blend your storage unit into its surroundings, or to promote your own unique style or brand. Interport can modify your container with logos, designs and various types of signs; we can even add decals for shipping containers. 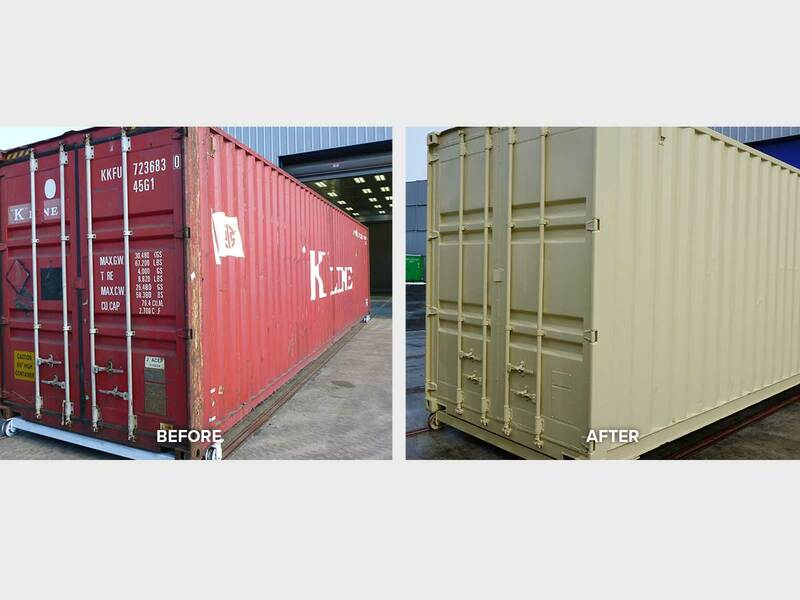 Customization has proven useful for schools, construction companies, and other organizations seeking to brand their shipping or storage containers.